﻿ Acura MDX Airbag Module Reset - Crash Data Erased after Accident! Is your Acura MDX airbag light on? Crash data or hard codes stored after accident? We can reset your Acura SRSmodule for only $50! If your airbags deployed, you will need this service. All Acura MDX models that have been in a crash, are salvage or have the airbag light can be reset! We offer 24 HOUR TURNAROUND on all Acura MDX airbag modules! Safety Restore is the nationwide leader in post-accident restorations, specializing in SRS airbag module reset services, seat belt repairs, seat belt retractors, seat belt pretensioners and seat belt webbing replacement. We use various industry-standard software and hardware to reprogram your SRS unit back to OEM/factory condition. In certain instances, we may open your module and connect directly to the eeprom chip where the crash data and hard codes are stored. We erase all codes to make your Acura MDX module like new again. SRS programmers and airbag reset tools such as airbag ODB scan tools cannot erase the crash data! Even your Acura dealer cannot reset the module and will try to sell you a new Acura airbag module. 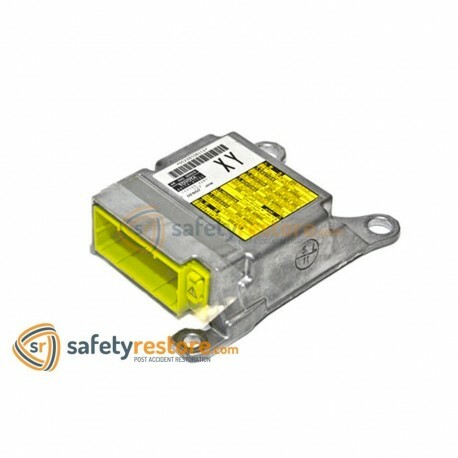 Save hundreds to thousands of dollars by reusing your existing Acura MDX airbag module and be safe again.